General Manson served as Canada’s Chief of the Defence Staff from 1986 to 1989, culminating a distinguished 38-year career with the Royal Canadian Air Force and the Canadian Forces. A fighter pilot, he flew the CF-100, F-86 Sabre, the CF-104 Starfighter and the CF-101 Voodoo. He commanded at every level of the Air Force prior to his appointment as CDS, and served extensively with Canada’s NATO Forces in Europe. A native of Trail, B.C., General Manson was educated in Montreal and Pembroke, Ontario, before attending the military colleges at Royal Roads, B.C. and RMC Kingston, and was awarded the Sword of Honour in his final year. He holds BSc degrees in electrical engineering from RMC and Queen’s University, and he has received honorary doctorates from both Royal Roads and RMC. Following military service, he entered business as the president of a large aerospace company, retiring in 1997. From that point until 2005 General Manson served as full-time volunteer Chairman of the “Passing the Torch” campaign, which raised $16.5 million in support of the new Canadian War Museum. He was a Trustee of the Canadian Museum of Civilization Corporation from 2000 to 2006, and in that capacity he chaired the Canadian War Museum Committee and the Building Committee for the new museum, which opened in 2005. 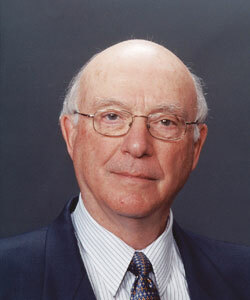 Recently retired as the president of an Ottawa think-tank, General Manson has written numerous articles on defence and national security, and was a frequent commentator on defence issues on television and radio. His decorations include Commander of the Order of Military Merit and Commander of the U.S. Legion of Merit. In 2002 he was made an Officer of the Order of Canada. In his free time General Manson plays trombone in the Polished Brass Quintet, a swing band and a concert band. Like his wife Margaret, he is an enthusiastic golfer. They have two sons, two daughters and five grandchildren.